Ahead of the WGC Dell Technologies Match Play Red Army Bet looks at some of there key players in contention as well as the latest betting news and enhanced odds. The PGA Tour heads to Texas for the Dell World Match Play on Wednesday with some of the top names in the game battling it out over four days of head-to-head golf. The Austin Country Club on the shores of Lake Austin provides the setting for one of the most popular events on the golfing calendar with plenty of top names in with a shout of taking the top prize and as well as competing against the course the world’s top players will also be going mano-a-mano, which makes this form of the game so entertaining. With the format having changed in 2015 the top 64 players in the world – excluding Rickie Fowler and Adam Scott – will be split into 16 groups playing in a round-robin format with the best performer advancing to the knockout stages, ultimately culminating in the final on Sunday evening. And at just over 7,000 yards, not to mention four reachable par fives and a drivable par four, there are plenty of risk-reward holes which are bound to provide plenty of excitement throughout the extended weekend. The format will obviously suit those in form while stamina will also be key as in order to win this event you’ll have to play seven matches over five days and reigning champion Bubba Watson begins his title defence in an all-American group that includes former FedExCup champions Jordan Spieth and Billy Horschel, while last year’s runner-up Kevin Kisner kicks off his week against Ian Poulter. 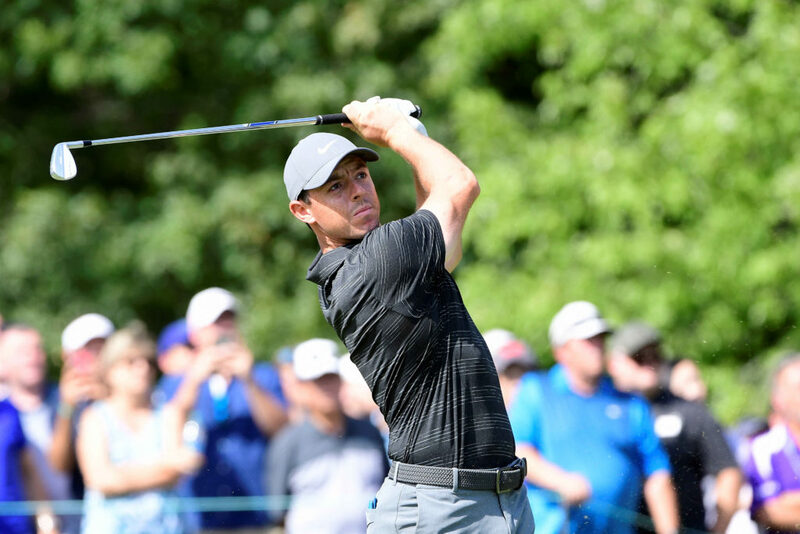 Following his victory at The Players Championship, Rory McIlroy comes into this as favourite and can be backed at 12.00* to repeat his victory in this event back in 2015 having finished no worse than sixth in his six starts and has been drawn in a group with Matt Fitzpatrick, Justin Harding and Luke List knowing that a win here could see him become World Number 1 once more. When talking match play it’s hard to avoid the pairing of Tommy Fleetwood and Francesco Molinari, who performed so well individually and as a pair for Europe in the Ryder Cup, and having both been in good recent form it wouldn’t be a surprise to see them involved during the business end of the tournament. Meanwhile, Tiger Woods is making his first appearance at the event since 2013 as he bids for a record fourth WGC-Dell Technologies title and has been drawn in an all-American Group alongside Brandt Snedeker and Patrick Cantlay. Dustin Johnson put up a woeful defence of his title 12 months ago, failing to get a win in all three of his group matches and despite being World Number One has been inconsistent form of late to say the least, but the man who completed the WGC Mexico and Match Play double in 2017 is still as short as 10.75* to win here once more with Hideki Matsuyama, Branden Grace and Chez Reavie in his group. A repeat of the 2016 Open tussle between Henrik Stenson and Phil Mickelson catches the eye in Group 12, and Eddie Pepperell and Justin Rose – who played alongside each other in the final round of The Players – have both been drawn in Group 2. A fine performer at the Ryder Cup down the years Justin Rose has made it out of the Round of 32 here just once in 11 appearances but on the back of a pretty steady 12 months catches the eye at 17.50, while fellow Englishman Paul Casey, having defended his Valspar Championship title a week ago, is 24.75*. However, when it comes to those with previous at this event, Australian Jason Day has won the tournament on two previous occasions having triumphed in 2014 and 2016, while also showing plenty of promise in recent weeks, has to be respected has he looks to complete a hat trick of victories.